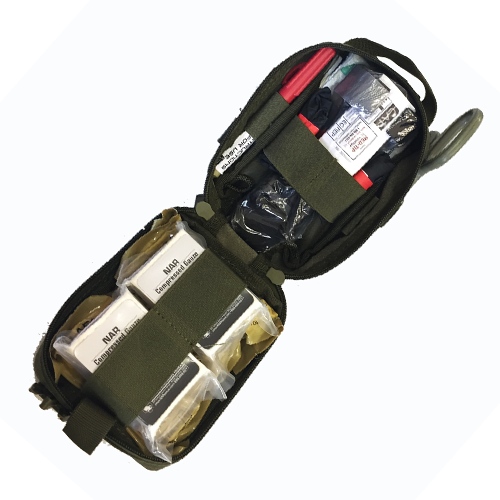 Medical Kits, IFAKs, and Modules are a specialty of Rescue Essentials, and they have over 125 different units from which to choose. 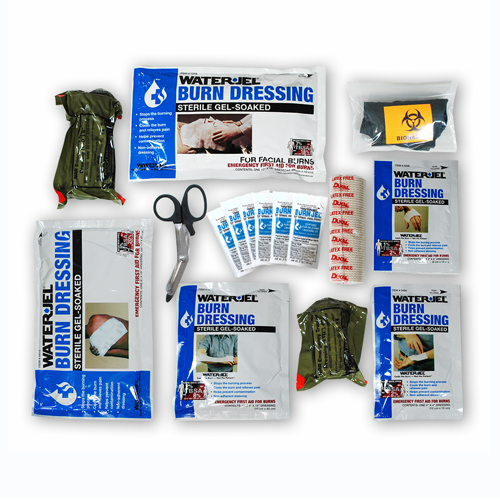 From the wilderness buff to the combat medic, the patrol officer to the firefighter, there is a kit that will fit your needs. 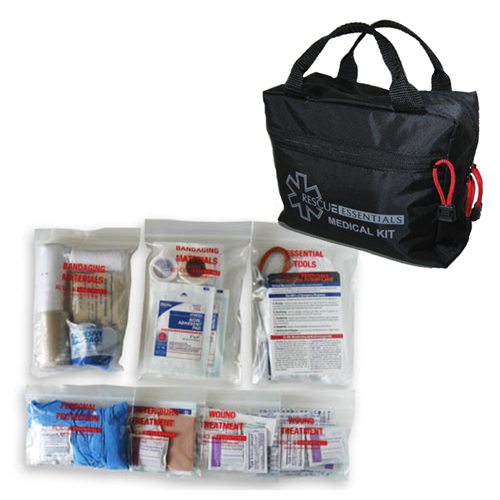 The kits and modules below represent a small sampling of the RE family of medical kits and modules. For more information or to order, contact your personal sales specialist (Find Your Rep HERE). 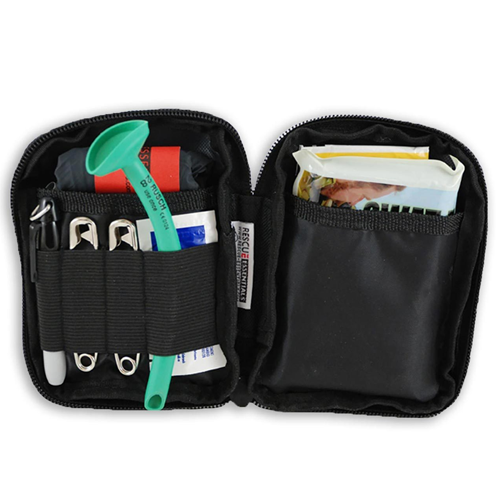 The EDC IFAK is your comprehensive one-kit solution for everyday carry medical, from severe trauma to basic first aid. Does not include sharp items or liquids that are going to be TSA-confiscated when traveling. Weight: 1 lb., 1.44 oz. Easy to store, yet it can still accommodate additional supplies. 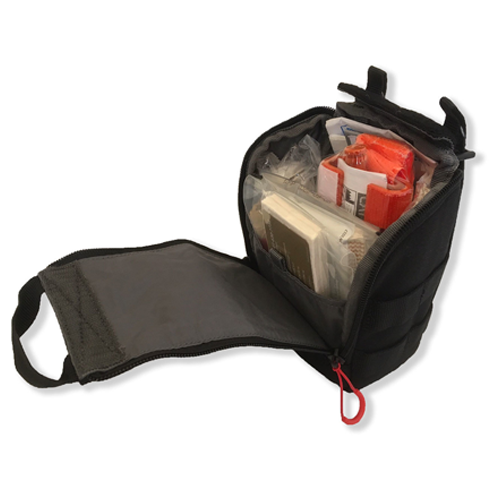 Front zipper pocket contains personal protection items, which are most likely to be needed first. Extra gloves and hand wipes allow treatment of multiple patients before restocking is required. For a complete list of components (over 100! ), visit the link above. Weight: 1 lb, 2.7 oz. Weight: 2 lbs., 11 oz. 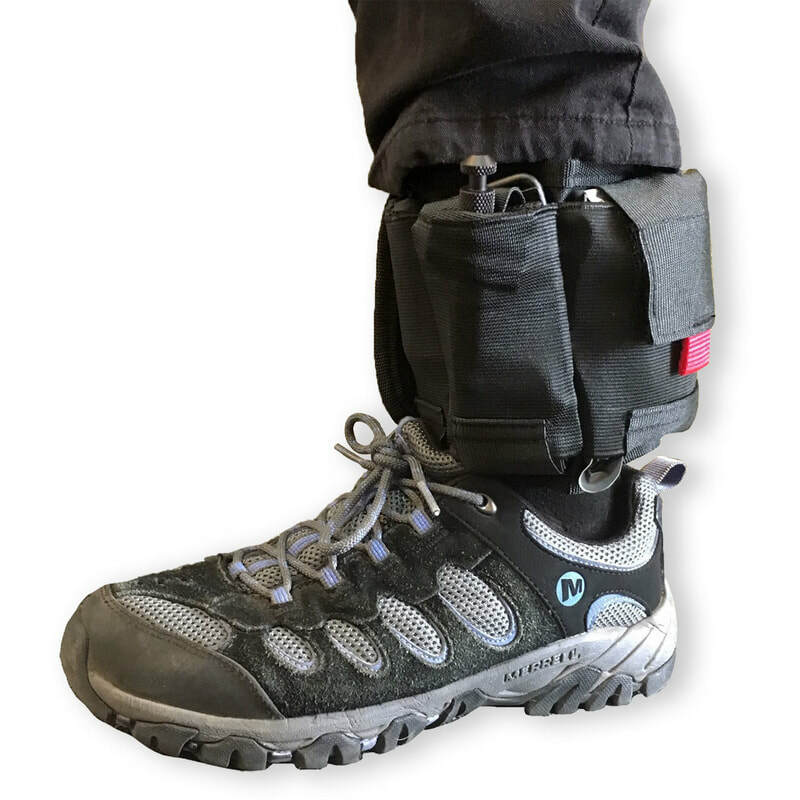 Based on Rescue Essentials’ Ankle Medical System, which was designed by a SWAT officer as an ankle-mounted medical pouch, intended to ensure that every Law Enforcement officer can carry lifesaving medical gear on him at all times. 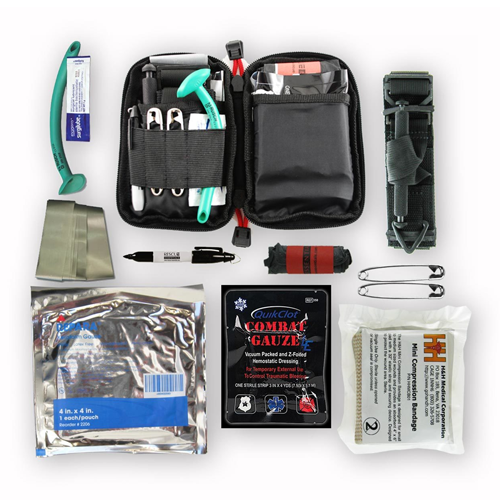 Affordable and effective, the Advanced Patrol Officer’s Trauma Kit is extremely compact, yet provides vital materials for advanced wound treatment. It is versatile, attaching easily to belt, vest, or pack with a 2” x 3” MOLLE ladder and strap system. It can also accommodate a CAT® Tourniquet (not included, ITEM #: 20-0080) on the outside. 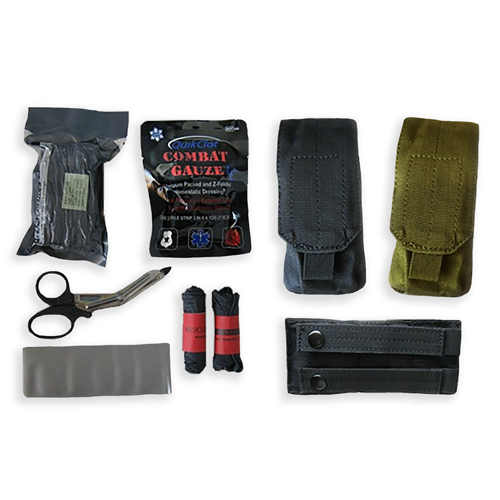 The Covert Carry Advanced Trauma Kit provides officers with an ultra-compact IFAK and the medical components needed to effectively treat GSW or penetrating injuries in a slim, unobtrusive design. 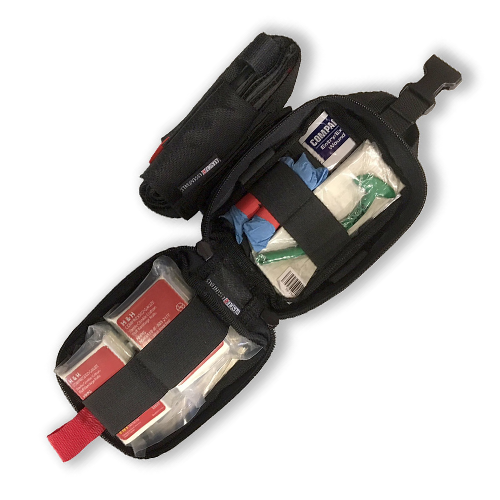 The EMT Rip-Away Lite Operator Kit is designed to allow the kit to be quickly detached for “throw and go” situations, and the contents provide full capability to stop severe bleeding and deal with airway issues. Hartford Consensus compliant.